The Yarrow Point Public Works Department is responsible for maintaining the stormwater system, streets, rights of way, public parks, and other public areas. Istvan Lovas (right) and Stacia Schroeder (Town Engineer) work together to accomplish this on-going effort. 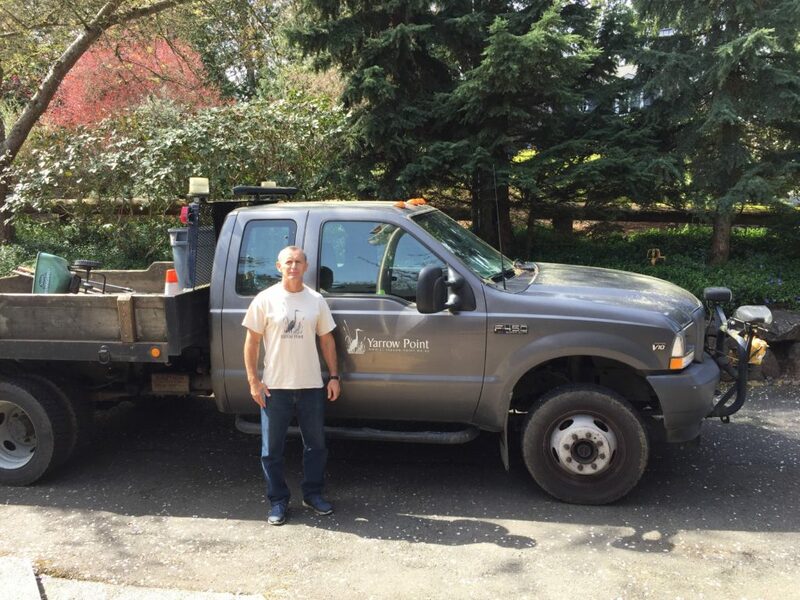 Istvan Lovas, a full-time town employee, is responsible for general maintenance activities related to irrigation, street signage, Town Hall preservation, and several other miscellaneous tasks which keep Yarrow Point running smoothly. During the summer months, Istvan performs annual maintenance projects such as painting the mail pagodas, guard rails, stop bars and signs, planting annuals, replacing gravel, and preparing for the Fourth of July Celebration. Istvan keeps the Town’s rights-of-way looking great through on-going landscaping efforts including: mowing grass, pruning hedges, raking leaves, weeding, watering, and collecting and removing garbage. Stacia Schroeder is the Town Engineer for Yarrow Point. As such, she is responsible for designing and/or managing Capital Improvement Projects on behalf of the Town including stormwater system upgrades, underground utility conversions, and irrigation system extensions. She works in conjunction with several other agencies including City of Bellevue, Clyde Hill, WSDOT, Puget Sound Energy, Centurylink, and Comcast to create a cost effective capital improvement program. If you witness a problem on public property such as a dead tree, dangerous tree limbs, fallen limbs, a hedge that restricts street visibility, street signs that have fallen down, storm drains that are clogged, or a street that needs repair, please contact the Town Hall at (425) 454-6994. The public works department will review the situation and attempt to resolve it as quickly as possible.